When a product is technologically advanced, crafting a clear message can be difficult. 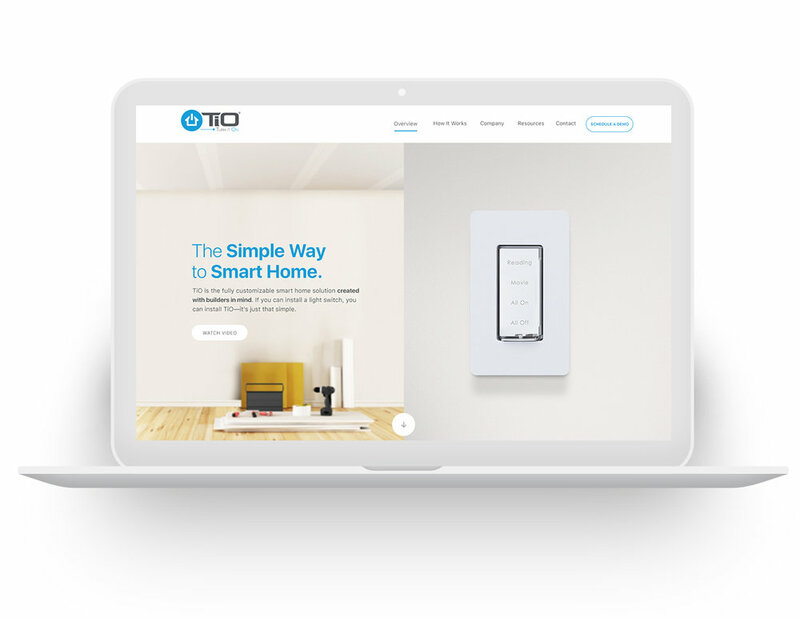 This was one of the challenges faced when creating a brand for the smart home application known as TiO® (Turn It ON). TiO is designed to make life easier, but you wouldn’t know it from the company’s original communication. In an effort to explain every aspect of the technology and capabilities, large bodies of copy overwhelmed visitors and pushed away non-tech savvy homeowners and builders. An overhauled look, feel and copy was done to really speak directly to homebuilders.